By Sia in Desktop. June 12, 2017 . After an extended period of development, Google’s Chrome browser has finally gotten its Chrome 59 update. Now available on the desktop version of Chrome with Android and Chrome OS versions following shortly after, Chrome 59 brings with it a combination of performance tweaks and new features. Here’s what you need to know about the update. Upon updating the desktop version of Chrome to Chrome 59, users will be greeted by a new Settings page that utilises Material Design. With this brand new look, Google has grouped up all of the settings and placed them into a single column. Besides setting placement, the new Settings page also comes with a menu that lets users navigate to specific parts of the page. Finally, Google has also tweaked the About Chrome page to use Material Design. It wouldn’t be a Chrome update if Google didn’t try to improve the page load times on its browser. Animated PNG (aPNG) may be getting a boost in popularity as Apple has embraced the format for their iMessage stickers. With Chrome 59, Chrome will be able to support the file format that was created to replace GIF. On previous versions of Chrome, a web page could only gain limited access to your smartphone’s camera. 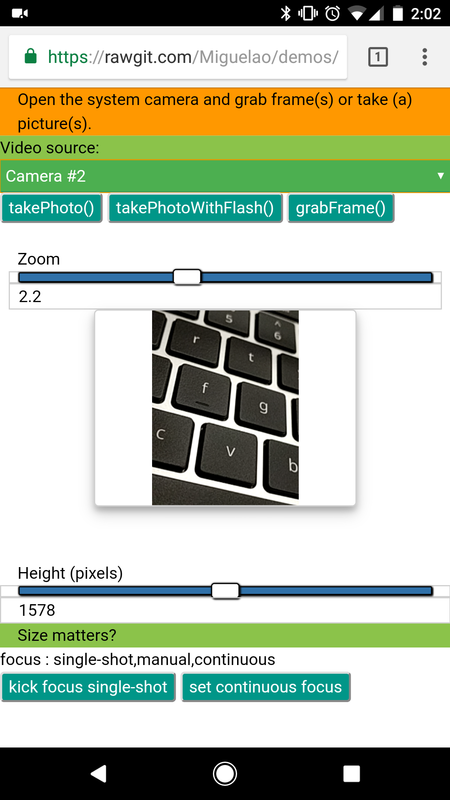 However, in the new Chrome 59, a web page can do a lot more with the camera thanks to the new Image Capture API. Once the Chrome 59 update gets rolled out to the Android version of Chrome, web pages woulds take advantage of the device’s cameras in ways that it never could before. 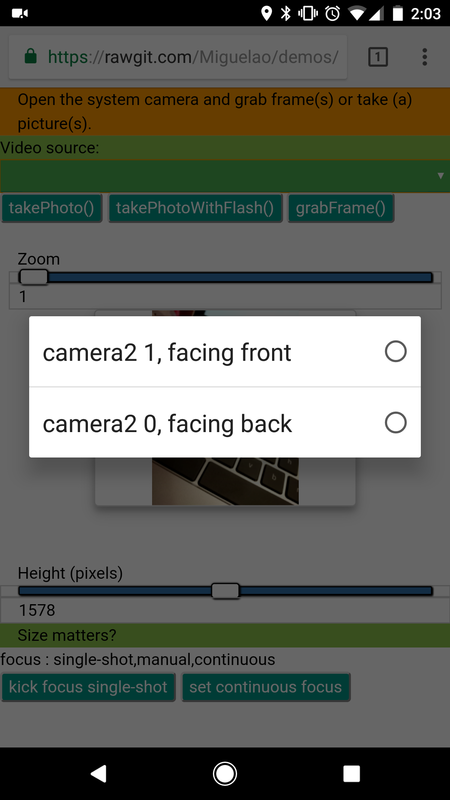 Some of the abilities that the new Image Capture API introduces includes the use of flash, the ability to switch between cameras, image focusing, and zooming in and out. For security, Google has made three key changes when it comes to Chrome 59. The first is that Google has finally blocked pages that are embedded using iFrames from sending notifications. Secondly, Chrome 59 will no longer allow pages to embed content from FTP servers. And lastly, Chrome 59 will block requests for sub-resources that contain embedded credentials. Doing so in the future will cause Chrome to show a network error.